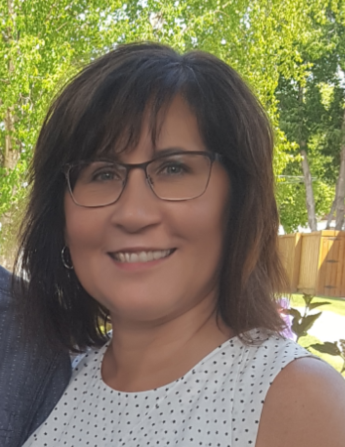 Lorraine Florence Munro (Chomenchuk) passed away Saturday, November 10, 2018, at the Swan Valley Hospital at the age of 53. She departed this world following a courageous battle with cancer lovingly surrounded by family, friends and special life-long friend Karen. Lorraine was born on June 17, 1965, in Dauphin, Manitoba to Cornelius and Carrie Chomenchuk. She was a shy and quiet child who was raised on the family farm in Pine River and from a young age grew to learn the value of hard work. She attended Pine River Elementary School and graduated from Ethelbert High School. In her younger years, she was involved in local 4-H and Ukrainian Dance clubs. Lorraine being the only girl in a family of four children formed a special bond with her mom. Together they enjoyed years of gardening, canning, cooking, baking, milking cows and a lifelong fond love for cats. Following her grade 12 graduation, she continued education at Herzing Business College in Winnipeg obtaining her medical secretary diploma. Upon college graduation, she relocated to Brandon where she was employed at the Brandon Allied Arts Center. Lorraine was an ambitious person and took every opportunity to advance her education. She enrolled in the nursing program and graduated from Assiniboine Community College with her Licensed Practical Nursing Diploma. While attending nursing school, she continued to return to the farm to help whenever she could. Lorraine always had a passion for the north and pursued employment opportunities in the north including: Thompson, Flin Flon, Wabowden, Ilford, Churchill and Leaf Rapids. It was in Leaf Rapids, she met Mark Munro. Mark and Lorraine formed a special bond and were married in Swan River on June 24, 2000. Just after they were married, they moved to Swan River. Mark gained employment at the new OSB mill, Louisiana Pacific and Lorraine began working at the Swan Valley Personal Care Home. Together they purchased a house and turned a house into a home and created a beautiful yard. Lorraine’s early years of gardening experience proved to be beneficial as she mastered the skills of gardening and growing a variety of plants. They welcomed their children, Hannalee in 2002 and Matthew in 2004. As the years passed by, Lorraine was heavily involved with the Dolyna Dance group, helping with costumes and led many perogy making sessions. For many years, Lorraine volunteered for the Stampeders rodeo food booth as well as for Matthew’s Minor Hockey association. She continued to return to the farm to help her mom right up until the summer prior to her passing. She had a cat all her life and shared this passion for cats with all family members. She enjoyed travel and traveled when she could. Lorraine possessed a strong work ethic and strived to do her best despite her failing health. One would never know the extent of her illness as she was very strong and proud and would not surrender to the strength of her illness. Lorraine was predeceased by her grandparents Harry and Verna Chomenchuk, William and Nellie Furkalo; father Cornelius (Kernal) Chomenchuk and brother Mervin Chomenchuk, Father in law Albert Munro and mother in law Jeanne Munro. Lorraine will be greatly missed by her loving family; husband Mark, daughter Hannalee and son Matthew. Lorraine is survived by her mother Carrie Chomenchuk of Pine River, brothers; Cornelius (Kerri) Chomenchuk of Brandon, Quinn (Sheri) Chomenchuk, Gilbert Plains, brother in law Todd (Rob) Munro of Seattle, WA; nieces Tynnille (Stefan) Chomenchuk Bouchard, Brandon, MB, Ouksonna Chomenchuk of Brandon, MB and Maya Chomenchuk of Gilbert Plains and great niece Evonna Bouchard, Brandon, MB.